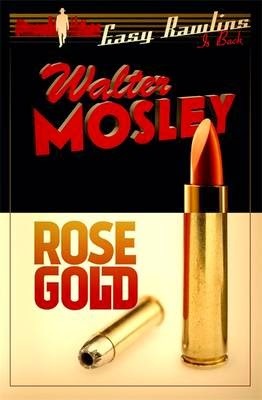 Rose Gold is by Walter Mosley and is due to be published in September 2014. Set in the Patty Hearst era of radical Black Nationalism, a black ex-boxer, self-named Uhuru Nolica, the leader of a revolutionary cell called Scorched Earth, has kidnapped Rosemary Goldsmith, daughter of a weapons manufacturer. If the demands of Scorched Earth aren't met - money, weapons and an apology - 'Rose Gold' will die, horribly and publicly. So the FBI and the LAPD turn to Easy Rawlins, the one man who can cross the necessary borders to resolve this dangerous standoff. Rose Gold takes us back to the streets of sprawling, post-war Los Angeles and, this time, to the dark precincts of violent radicalism. Jonathan Drake is not having a good day. His wife has left him. His latest case at the Met is haunting him – a victim of a stalker they couldn’t stop in time. And now after a mudlark finds a severed finger on the shore of the Thames, an undertaker has got in touch with information from a very unlikely source. The untitled new book by AK Benedict shows just how fine a line lies between the living and the dead and is due to be published in November 2014. Dr David Evans is a top neurosurgeon at a hospital in Washington. He's also a single parent after his wife died from a brain tumour he - the expert - failed to spot. Then one night when he stays late to save the life of a gang member caught in crossfire, his young daughter goes missing. He finds the nanny dead in the basement of his house. Because this is no ordinary disappearance - his daughter has been kidnapped because he is secretly about to perform surgery on the most important person in the US, the President, and there are those who don't want the man to survive. Caught between his desire to save his daughter and the terrible consequences if he fulfils the kidnappers demands, Evans is in a race against time that will mean him turning to the one person he has not spoken to in years - his dead wife's sister. The Tipping Point is by J G Jurado and is due to be published in December 2014. 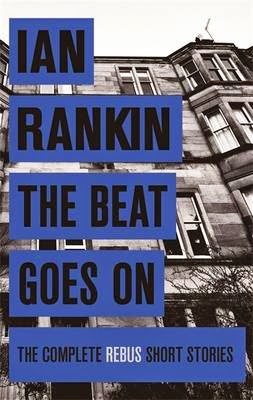 In 2012, the publication of Standing in Another Man’s Grave heralded the welcome re-emergence of Ian Rankin’s most revered character, John Rebus, and 2013 saw his return in Saints of the Shadow Bible. Now – including an introduction and two brand new stories - Orion are publishing the ultimate Rebus short story collection. No Rankin aficionado can do without. The Beat Goes On will be published in October 2014. 'There were times I felt I would always be death's passenger. It moved one step ahead of me wherever I went, letting its shadow fall across me. It carried me on; shaded me from the world other people lived in.' Leaving behind his life of violence in Brazil's darkest shadows, Zico is determined to become a better man. But it seems his old life isn't quite done with him yet when he's tasked with making one last kill. It's one that could get him everything he has ever wanted; a house, some land, cash in his pocket, a future for him and his girlfriend, Daniella. But this one isn't like all the others. This one comes at a much higher price. The Darkest Heart is by Dan Smith and is due to be published in July 2014. It is a journey through the shadowy heart of Brazil and the even darker mind of a killer, where fear is a death sentence and the only chance of survival might mean abandoning the only good thing you've ever known. fateful encounter between the narrator, Weldon Avery Holland, and the notorious Clyde Barrow and Bonnie Parker - a meeting which ends with the sixteen-year-old Holland putting a bullet through the windscreen of Clyde's stolen automobile. Weldon's education in the evils that men - and women - are capable of continues as we move to the Ardennes Forest and the Battle of the Bulge in 1944, where Second Lieutenant Weldon Holland saves his sergeant, Hershel Pine, from death by suffocation when he is buried alive in his foxhole under the treads of a Waffen SS Tiger tank. Weldon and Hershel survive the executions of the wounded by the SS and escape on a freight train deep into Nazi Germany. There, they stumble into an extermination camp deserted by the SS, and discover among the stacked bodies a young woman named Rosita Lowenstein - the second woman to change Weldon's life. Weldon goes all the way to the Elbe River in the war's brutal climax, but afterwards he is determined to find Rosita - eventually tracking her down in Paris, where they get married. But Hershel has also found gold in the dross of conflict, claiming to have discovered the secret to the Tiger tank's indestructibility, its unique welding process - and on their return to the States, it looks as if the two friends have not merely survived; they're going to be rich. But as the two form a pipeline corporation and enter the oil business, they are about to encounter - amidst the super-rich of Huston - levels of greed and cruelty they thought they had left far behind in the blood and horror of war. 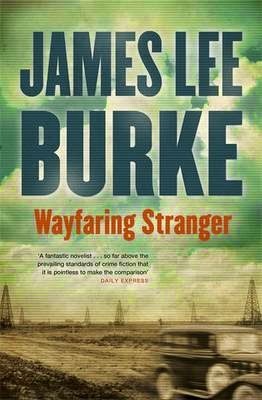 Wayfaring Stranger is by James Lee Burke and is due to be published in November 2014. Fiddle City is by Dan Kavanagh and is due to be published in August 2014. Everyone knows a bit of petty theft goes on in the freight business at Heathrow - it is fiddle city, after all. But things have gone beyond a joke for Roy Hendrick and he suspects someone who works for him is helping themselves to more than they should. That's when he sets Duffy on the case. A bisexual ex-policeman, Duffy runs a struggling security firm, has an obsessive attitude to cleanliness and can often be found propping up the bar at the Alligator. Duffy agrees to work for Hendrick and goes undercover to try and root out the culprit. But things aren't all they're cracked up to be and soon Duffy worries he's trying to be bought. What's the story behind the imperious HR manager Mrs Boseley with her permanently frosty demeanour? And is Hendrick really as honest as he claims to be? Duffy's up to his neck in it. The Sins of the Father is by Graham Hurley and is due to be published in November 2014. A rich old man, Rupert Moncrieff, is beaten to death in his waterside mansion, his head hooded and his throat cut. 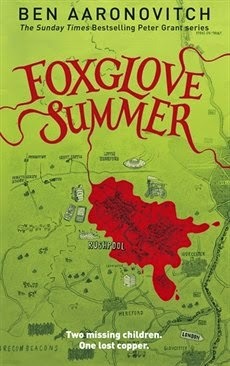 His extended family are still living beneath his roof, each with their own motives for murder. And in this world of darkness and dysfunction are the artefacts and memories of colonial atrocities that are returning to haunt them all. 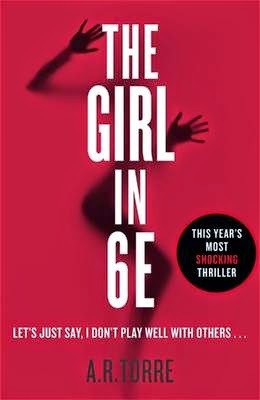 At the heart of the investigation is DS Jimmy Suttle who, along with his estranged wife Lizzie, is fighting his own demons after the abduction and death of their young daughter. But who killed Robert Moncrieff? And what secrets is the house holding on to that could unravel this whole investigation. Sherlock Holmes is dead. Days after Holmes and his arch-enemy Moriarty fall to their doom at the Reichenbach Falls, Pinkerton agent Frederick Chase arrives in Europe from New York. The death of Moriarty has created a poisonous vacuum which has been swiftly filled by a fiendish new criminal mastermind who has risen to take his place. Ably assisted by Inspector Athelney Jones of Scotland Yard, a devoted student of Holmes's methods of investigation and deduction, Frederick Chase must forge a path through the darkest corners of the capital to shine light on this shadowy figure, a man much feared but seldom seen, a man determined to engulf London in a tide of murder and menace. Moriarty is by Anthony Horowitz and is due to be published in October 2014. Dana Nolan was a promising young TV reporter until she was kidnapped by a notorious serial killer. A year has passed since she survived the ordeal, but Dana is still physically, emotionally, and psychologically scarred, racked with bouts of post-traumatic stress disorder and memory loss. In an attempt to put herself back together after surviving the unthinkable, Dana returns to her hometown. But it doesn't provide the comfort she expects: she struggles to recognize family and childhood friends and begins experiencing dark flashbacks. But she's not sure if they're truly memories or side effects of her brain injury. Dana decides to use her investigative skills to piece together her past and learns of the event that made her become a reporter in the first place: the disappearance of her best friend, Casey Grant, the summer after high school graduation. Looking at her past and the unsolved mystery through the dark filter of her shattered psyche, old friends seem to be suspects, authority figures part of a cover-up. Dana begins to question everything she knows. What is real? What is imagined? Are we defined by what happens to us? And is the truth really something too terrible to be believed? Cold, Cold Heart is by Tami Hoag and is due t be published in August 2014. Eighteen-year-old Twist doesn't have much. No money, no home and no family. All he has is his reputation as one of the most daring street artists in London - whose unique skills are matched only by his infamous talent as a climber and free-runner. But when he finds himself on the run from the police, he knows that he could be about to lose the last thing he has left - his freedom. Until he is saved by the mysterious Dodge. When Dodge introduces him to con artist and art 'collector' Cornelius Faginescu, Twist realises that he finally has the chance to be part of something. All that he has to do is put aside his moral objections and learn to steal... Twist is by Tim Grass and is due to be published in September 2014. The Prophecy of Bees is by R S Pateman and is due to be published in November 2014. When Lindy, a recently widowed American expat, buys a large manor house in the Cotswolds, she thinks it’s the fresh start she and her wayward daughter Izzy need. Stagcote manor is a large rambling house with a rich history and Lindy is thrilled at the prospect of their news life there. Izzy, however is less convinced. She longs to be back in the hustle and bustle of London. There is something unnerving about the house that she can’t quite put her finger on. And as Izzy begins to immerse herself in Stagcote life, she gradually realises the locals have a lot of disturbing superstitions, many of them related to the manor. When Izzy begins to investigate the history of the house her unease soon darkens to fear as the manor’s dark past finally comes to light. chilling final command: Kill us all! Personnel from the neighbouring base rush in to discover everyone already dead - and not just the scientists, but every living thing for 50 square miles has been annihilated. The land is entirely sterile - and the blight is spreading. To halt the inevitable, Commander Gray Pierce and Sigma must unravel a threat that rises out of the distant past, to a time when Antarctica was green and all life on Earth balanced upon the blade of a knife. Following clues from an ancient map rescued from the lost Library of Alexandria, Sigma will discover the truth about an ancient continent, about a new form of death buried under miles of ice. From millennia-old secrets out of the frozen past to mysteries buried deep in the darkest jungles of today, Sigma will face its greatest challenge to date: stopping the coming extinction of mankind. But is it already too late? 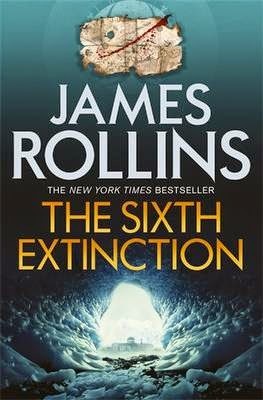 The Sixth Extinction is by James Rollins and is due to be published in August 2014. In the LAPD's Open-Unsolved Unit, not many murder victims die almost a decade after the crime. So when a man succumbs to complications from being shot by a stray bullet nine years earlier, Bosch catches a case in which the body is still fresh, but any other evidence is virtually non-existent. Now Bosch and his new partner, rookie Detective Lucia Soto, are tasked with solving what turns out to be a highly charged, politically sensitive case. Starting with the bullet that's been lodged for years in the victim's spine, they must pull new leads from years-old information, which soon reveals that this shooting may have been anything but random. The Burning Room is by Michael Connelly and is due to be published in November 2014. DS Alex Morrow is called to a house where four children are living alone. Their mother a high-flying lawyer, is missing and has been for five days. The assumption is that she has run off or been taken by a former partner. But why didn’t the children phone the police before now? A similar case is unfolding nearby, when the mother in a family has disappeared. The police working the case assume that she is feckless and has run off because the family is struggling financially. But Morrow can see the details: the children’s trousers are hemmed by hand, the floor is clean, and there are plenty of books in the house. Plus, the children seem to be hiding something, the smaller ones kept away from the police and their alcoholic aunt has been drafted in so that they won’t go into care. With the help of Danny – in prison and acting as her consigliere – Morrow has to uncover a web of corruption and lies that runs from a small gang-controlled estate up to the highest echelons of the Glasgow City Council. The currently untitled Denise Mina will be published in January 2015. It's been 25 years since Alfred Chalmers was convicted of the gruesome murder of four young women in Edinburgh. Isobel McArthur, Scotland's first Chief Superintendent, was the woman responsible for putting him behind bars, but the case has haunted her ever since. Now, with her retirement approaching, McArthur decides the time has come for answers. To uncover the truth, she revisits the case and interviews Chalmers for the first time in decades. But her decision rips opens old wounds and McArthur is soon caught up in a web of corruption, psychological mind-games and deceit that threatens not only her own life, but those of her fellow officers and even her own daughter. 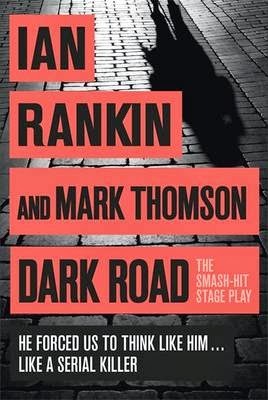 Tense, gritty and hard-hitting, Dark Road is the first ever stage play from crime writer Ian Rankin, co-written by the Royal Lyceum's Artistic Director Mark Thomson and is due to be published in July 2014. Fear the Darkness is by Becky Masterman and is due to be published in August 2014. Ex-FBI Agent Brigid Quinn thinks she has a second chance at life. After too many years spent in the company of evil, she's quit the Feds and is working out what normal is meant to feel like. She's swapped serial killers, stakeouts and interrogation for a husband, friends and free time. But when you've walked in darkness for so long, can you stand the light? When a local teenager dies in a tragic drowning accident, the community thinks Brigid might be able to help comfort the family. But when she does so, something doesn't add up. And it's no easier at home: after a bereavement in the family, Brigid has reluctantly taken in her niece to give her a break before she starts college. Brigid's ever-patient husband Carlo tells her they must go easy on Gemma-Kate, the grieving youngster. Which is fine, until she starts taking an unhealthy interest in dissecting the local wildlife. For Brigid, death still seems to be wherever she turns. But as she herself starts to feel unwell, it's her own mortality that is the most troubling. 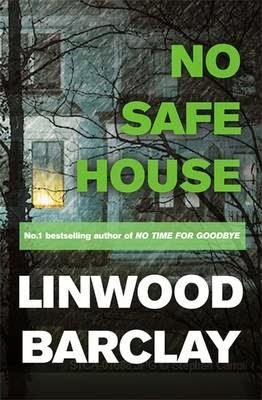 And as she tries to get to the bottom of a series of allegedly accidental deaths and increasingly gruesome occurrences at home, she slowly realises that maybe this time, she's let the darkness inside the only place she ever felt safe. Sometimes, death is closer than you think. The Martini Shot and Other Stories is by George Pelecanos and is due to be published in October 2014. The title story, The Martini Shot is set in the world of TV, featuring a scriptwriter on a popular cop show. When member of the crew is murdered, the screenwriter decides to track down the perpetrators himself to see if, as a writer, he can do more than just talk the talk. The rest of the collection showcases Pelecanos’ genius for rendering life on the edge of America’s meanest streets. Things are hotting up in the Third Division and it seems someone is nobbling players. Following the loss of one of one of his best strikers, Jimmy Lister, former England player and now an ineffectual club manager, calls on the expertise of the inimitable Duffy. Duffy must investigate the troubled world of lower league football while also facing questions about his possible encounter with AIDS, whether he’s cooked his frozen pizza for too long and whether he is too short to be a decent goalkeeper. 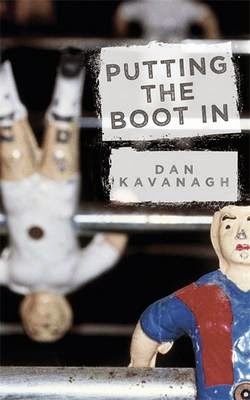 Putting the Boot In is by Dan Kavanagh and is due to be published in December 2014. Following the death of Duke of Cadogan, talented young rider Duncan Claymore inherits his large estate. Duncan has put his demons behind him and is well on his way to achieving his dream of becoming Champion jockey. However, Cadogan’s wealth proves to be illusory, with a manor house and grounds mortgaged to the hilt, and a list of creditors who include the formidable George Pleasance. And Duncan’s rival on the file, Sandy Sanderson, looks set to shatter his ambition. Down on his luck, out of favour and broke, Duncan has to try and engineer a return to good fortune, restore his reputation and bring down his father’s enemy of old, William Osborne. The untitled A.P McCoy novel is due to be published in November 2014.